Yo folks! Its that time again! Tuesday Top Five!!! Wooohoo! Project Runway. This show never gets old. I LOVE it. My favorite part is obviously…Tim Gunn!!! I LOVE TIM GUNN. I wish he would follow me around in life and advise me on my fashion choices. We could be bff and shop at Fred Segal and go see musicals together and maybe enjoy high tea. Yes, that’s the kinda life we’d live, Tim and I. But I also love Project Runway for the fashion, the drama, and that one dude who is always hilarious. This season that dude is Anthony. His designs are a bit hit-or-miss, but oooh honey-child! I love me some Anthony! I will cry if he gets kicked off because he is life of the season! Washington DC. This week I bought our tickets to DC !! I was lucky enough to book a wedding there this summer, which is SOOO COOL! I LOVE traveling and love shooting outside of SoCal. It’s really a treat. 🙂 AJ and I decided to get into town a bit early to celebrate what will be our one year anniversary, so that will be really cool! I’m looking forward to going to the Space Museum (the highlight of my DC trip when I was a kid)..but what I’m really really looking forward to is eating at Ben’s Chili Bowl, Horace & Dickie’s, and Granville Moore’s. Yum yum. Cream and Cheese. You want to know how to make something taste a whole lot better? Add cream and cheese. Case in point- last week we tried cooking Collard Greens from our CSA box. We did a traditional southern recipe and it was an epic failure. Not sure if it was our fault and we did something wrong, or if its just not a taste I like. But I gagged and was nauseated the whole evening. The collards brought me down! So needless to say, when they were in our box again we were a bit fearful. We hate to waste food and are so proud of our seasonal, local, organic, veggie-lovin’ selves. This collard green thing had to be conquered. So what did we do? We smothered those green babies in CREAM and RICOTTA CHEESE. And the result? DELICIOUS! Just goes to prove that cheese & cream fix everything! Amen! 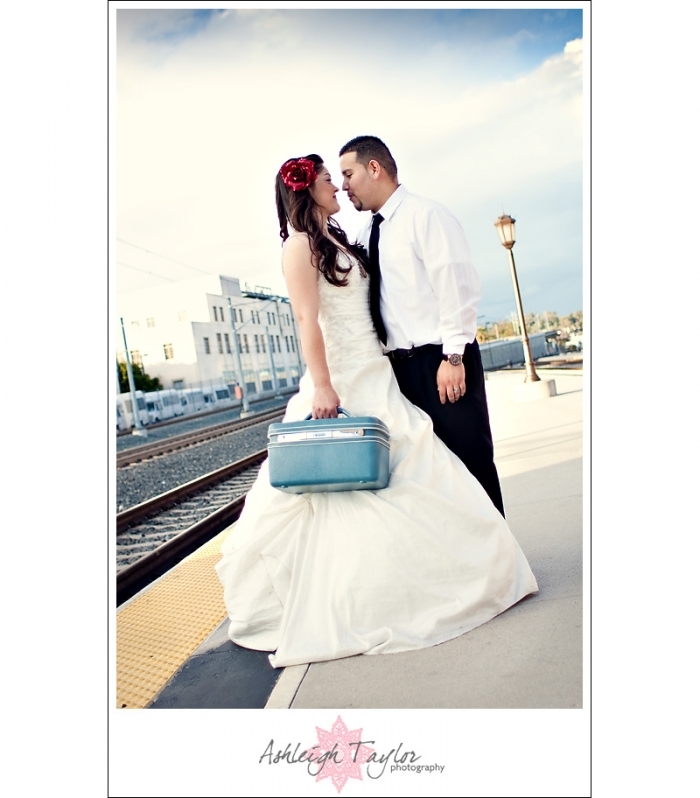 And now here is a teaser from this weekend’s Mr. & Mrs session! More coming soon! Sean - That’s briliant! Love the image at the train station – more soon please! Hahah. I had to laugh at the vita-yums, but that is pretty awesome. And I completely echo #4. Mhmm. Thomas Frank - I love Vita Yums, they make taking them so much better, they are surprisingly good too. K i’m in love the 1D Mark 4 I have a big hand so it fit me PERFECT! Better than my 5D with battery grip. It might be big and heavy for ya especially with 70-200 on it. Jennifer Brotchie - you’re such a tease! I love it! ginakim - They look great! Vanessa - Love it! They came out so glam! My favorite picture is the second one. Great pictures! Congrats. Candice - Love, love them!! They came out so beautiful love all the accessories!